The bathroom is having a renaissance. In Denver as elsewhere, homeowners are no longer settling for outdated bathroom décor. Indeed, the bathroom — the most practical room in the home — is becoming as popular a site for a remodeling project as the kitchen. This new tendency can be seen in the home design magazines that cover the Denver metro area’s hippest and ritziest communities. Of late, home design in the Mile High City shows an eclectic mix. Some homeowners are trending toward antique Victorian, and others favor sleek modern. But as diverse as these trends are, they point toward one theme: a gradual ditching of the Western cowboy, home-on-the-range image that Denver is known for. And that movement determined which of Denver’s most celebrated residential contractors made this list. This is not to suggest that none of these licensed contractors has put up a Santa Ana-style ranch. Many have. But each one also straddles the new “mountain modern.” Their layouts show neutral colors, cleaner lines, and fewer features with cattleman designs. Denver’s interior style is a fusion of urban and rustic, chic and accessible, cutting edge and traditional. What else could you expect from a thriving city surrounded by the Rockies in one of the country’s most outdoor-centric states? Due to the environmental inspiration and the appeal of this culturally stimulating city, Denver has attracted interior design firms with an impressively diverse toolkit. They combine an appreciation for the pleasing patterns found in nature, the bold pizzaz of a global palette, and the refined sophistication of modern, urban living. The list below showcases the eclectic blend of top interior design firms that have either just begun to make a name for themselves or are earning industry awards for their stellar reputation. Denver’s restaurant scene runs the gamut of cuisine, vibe, aesthetic, and speciality. The stylistic demand is as varied as the menus, as is the art of creating a popular eatery that integrates seamlessly into the character of the neighborhood in which it is placed. Whether we are looking at architects who are still growing their portfolio but have made a noticeable, albeit small, splashes in Denver’s restaurant design, or firms with a longer history of making their mark on Denver’s aesthetic, the list below includes a diverse group of professionals all ready to meet different market needs. Some of these firms have a strong grasp of how to pull out the unique character of a chain, while others are pushing the boundaries of Denver’s style and crafting the new trends that Coloradoans will celebrate in the future. Design-build firms in Denver carry a complex toolbox. 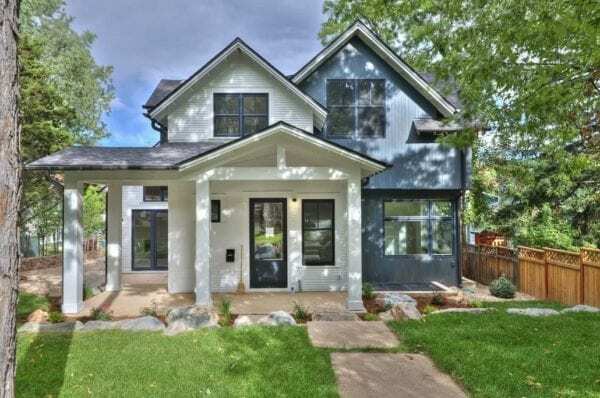 They are required to bring the technical, the practical, the artistic, and the visionary to each project they tackle, as they help their clients design and construct unique, sustainable Denver homes. The list below includes both boutique and large-scale firms — firms that specialize entirely in residential and ones in which residential is only one branch of a bigger tree. Each firm brings a commitment to sustainability, which is a hallmark of Denver’s construction value system, while also building structures that can withstand the city’s distinct four seasons and its record hailstorms.